I came into this game for one reason and one reason only: my love of music. Over the past few years and only out of advice given to me, I’ve always kept my mouth shut about my personal experience of the music industry and over the past few days I’ve toyed with publishing this. If you know me in person or are (un)fortunate enough to follow what I’m up to on Facebook, you’ll be aware of the rough week I’ve just had, this wasn’t just about an article it was a series of attacks by certain people. The article was the cherry on top of a long list of things and whilst I have come out of the other side relatively unscathed, I’m ready to break that silence. Brought up with grandparents who managed and booked bands, my childhood was spent on club backrests watching artists perform at my grandparents’ gigs. My grandad and grandma rubbed shoulders with the likes Jerry & The Pacemakers, Tom Jones, Cilla Black, Brian Epstein and met The Beatles numerous times. They were my inspiration to start this and are my idols. I became a young mum and then returned to college and university where I studied hard and gained qualifications in business management. I then worked as a office sales manager before going on to set up my own successful cleaning company. When my marriage ended after nine years in 2015 I was at rock bottom. I felt lost and needed a focus and the only thing that had got me through years of ill health was music. I set up Northern Exposure and never looked back. It made me happy for the first time in a long time. But it also lost me a lot of money. Sucked into what can only be described as a whirlwind, things got big fast. From day one, I realised this wasn’t going to be easy. I was back and forth to London, attending gigs up and down the country and was working 14 hour days, sometimes more, seven days a week. I met a whole range of people from the unsigned scene and the signed scene who warned me about the nastiness and competitiveness of the music industry. I thought , ‘Why do people seem so intent to put me off?’ I persevered and just thought, ‘Hey we all have bad experiences – I’ll be okay – I don’t want to fall out with anyone – I just want to help bands out where I can.’ This negativity has continued even up to the present day and I still get inboxes from people telling me to take it steady and that my work won’t be appreciated. Whilst I understand people’s concerns, I think this negative stance does nothing to attempt to change things for the better nor does it reflect the scene that I’m very proud to be part of. Over the years I’ve been publicly belittled, ignored, recently accused of financially ripping off naive bands and spoken down to by male sound engineers, bands, promoters, managers, photographers and venue owners. The hardest thing of all is though speaking up and then been made out to be some sort of trouble causer, its manipulated in such a way that you are made to look bad and its disgusting. I’ve been physically threatened and I’ve even been told I need to lose weight if I expect to get any respect in the public eye. I dare not even touch upon the sexual objectification of women in this industry as that would take a whole other article. Yet despite all this, I’ve been told that bad behaviour is to be excepted, accepted and that people who speak up about it are ostracised so I’m best off keeping my mouth shut. I am not afraid to say, as a victim of this, that misogyny and outright bullying are rampant on the scene and it really wears you down. However, I remain upbeat and positive as I will not allow myself to be intimitated by such behaviour. Why the hell am doing this? Do people actually appreciate what I do? Do I have to play all these childish games? Why when someone is blatantly in the wrong or repeatedly upsets me I am accused of overreacting or making a mountain out of a molehill? Can I not make decisions that are in the best interests of my company without having people turn their backs on me because I’m not doing what they want? Do these people actually think I’m stupid? Do they think that by huddling together in smoking areas outside events like some kind of outdated boys’ club that they can gossip about me and spread lies without me finding out? Do they think I don’t know my real friends from the ‘fake’ ones on this scene? I’ve been told to my face that I don’t work in the ‘industry’ despite having done so for almost three years: I’ve released an album which I put together from scratch, been part of three other albums, got two bands signed to labels, put on numerous gigs, helped bands on a daily basis and worked relentlessly 24/7. Just because I’m not employed by some massive company and I’m building this on my own does not mean I am any less dedicated, passionate or focused than anyone else. To be honest, I would rather build something that is my own and is built on solid, sincere foundations where my integrity remains intact. Where do people think bands on radio, TV and press come from? Where do they think a band’s journey begins? I don’t see many A&R people at gigs these days, neither do I see many mainstream press covering gigs. Their journey starts in the unsigned scene, built up by all those people working tirelessly to push, promote and support them. Who is writing about new music right now? It’s not the big wigs, it’s us. We are at the beginning of these band’s journeys, the ones plugging, writing, photographing, fighting their corners and attending gigs. When bands get huge, the industry is more than happy to reap the rewards for that success, but who are the ones helping the bands reach that stage? I’ve never really thought to myself that I’m getting this treatment because I’m a woman, although it’s hard not to consider it. I’ve always supported women in the industry but I believe in balance. I don’t want to appear hard done by or like I’m not equal to any man in this industry. I’ve never expected preferential treatment because to me it shouldn’t matter what gender I identify with or which goods I was born with but unbelievably it seems to matter to some and I am deemed beneath them or not as good as them. I never came in to this as an expert or even claiming to be one: I have never thought I’m the next John Robb or Allan Jones. 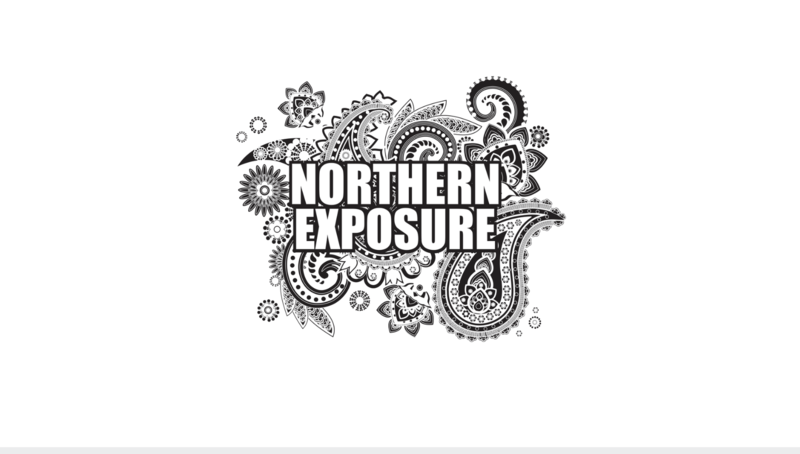 I have never put Northern Exposure up there with the likes of Q Magazine or MOJO. I have made mistakes, I’ve got things wrong but I was always honest from the start that I was learning every single day and I believe that even in ten years time I’ll still be learning. We are always learning. I have never felt shame in asking people for advice and I still do (although I did learn my honesty would be used against me: subsequently these very people who helped me to my face as friends would then go on to tell others to avoid working with me because I didn’t know what I was doing). In any other industry, someone who raises thousands of pounds for charity and commits the time and effort I have for nothing out of my own pocket would be supported and applauded. Yet, only a small minority of men in this game have done so. Yet when I sing their praises, I’m told I’m ‘kissing their arses’ – you just can’t win. Anyone who is brave enough to come into this industry, whether that is someone who has a degree in journalism or works shifts at McDonalds, should be allowed to and supported to flourish, to grow and to learn. Live music is on its knees right now and needs all the support it can get. These people put the entire unsigned music industry at risk if behaviour like this continues. If a younger girl or guy with less life experience and resilience came up against the behaviour and treatment I have, what would that do for the scene? We are lucky in that we get a lot of support from people, support which we appreciate more than they’ll probably ever know. But this blog piece isn’t about me or us, it’s not about comments praising us or our efforts it’s about forewarning and protecting others who may come across this treatment in the future. It’s sad that I’ve taken this as part and parcel of what I do – I don’t wish it upon others. So take on board what I’m saying, don’t be part of a clique or engage in one and remember: no one likes a bully. If you see someone new taking photographs at a gig, say hello and introduce yourself – be kind and welcoming. Bands support one another – journalists, promoters, venues help each other. We are all in this for the same reason: to bring guitar music back to the forefront of the industry. If anyone treats you badly, its time to ask yourself: is this person in it for the right reasons? It was also a trip to London (where the music industry is one of the most competitive industries imaginable) that proved to me there are people in this industry who are willing to support you and have your back. I’m finding that the genuine ones in this game inevitably gravitate towards one another. I can’t help but ask myself why I receive this treatment when all I do here is attempt to learn, encourage and promote new music out of my own pocket. Whatever the reason, let’s get one thing straight, I will not be bullied any longer. Neither will I allow anyone’s bad vibes, jealousy or negativity affect me doing my job. There are bigger things at stake here other than people’s fragile egos. Sadly, for the first time in my life, I understand why people walk away from the unsigned scene and go on to work in more professional environments within the industry. Amongst all of this hard work I do, there is still a feeling of genuine hope, optimism and ongoing huge bursts of progress for guitar music that keep me going. This venomous behaviour only further ignites my passion and solidifies my already strong work ethic. I applaud you for this!!! Just an ordinary music lover here, and I’m afraid to say I wasn’t aware of you or Northern Exposure and came to this personal account from yourself via Carol Anne Salusbury-Byrne. Firstly I would like to say how much it saddens me in this day and age that this behaviour still exists and unfortunately not just in the music industry! Secondly, my own take on this would be that these people who take time out to make your existence in the industry awkward to say the very least are jealous of your achievements thus far and haven’t the balls, so to speak, to make the changes that are desperately required to keep music alive. Thirdly, I would like to say that I am eternally grateful to the likes of yourself and Carol for what you are doing and achieving with bringing guitar music back to life, so please carry on the good work because the evidence is there that you are winning with the upsurge of guitar bands across many genres flooding onto my social media for me to take a listen too and then if I enjoy look out for them playing live. Once again thank you for all the good work you are doing for the music lovers. A great read. Glad that your passion is alight in what can be a dark and murky scene.